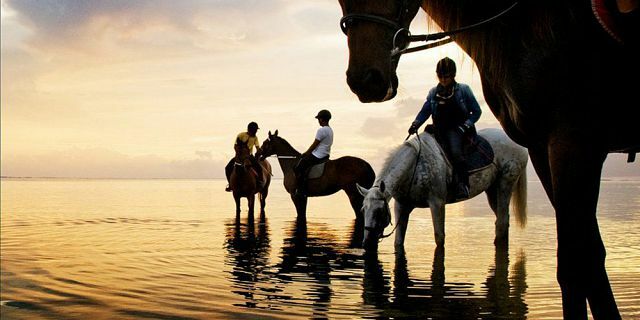 Experience the magic of horse riding on Riambel Beach, famed for its 2.5km stretch of white sand with no hotels or crowds- ideal for a wonderful and intimate riding experience. This beach offers a true taste of paradise, where you will also have the privilege of enjoying breath-taking views of the resplendent tropical sunset over the Mauritian lagoon. 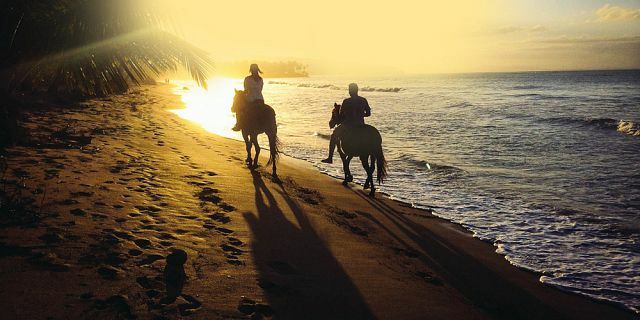 Enjoy riding a horse down the beach at sunset with your partner to experience an incredible sense of freedom in a tranquil and beautiful romantic setting. Few things can match the sheer magnificence of a tropical sunset - so do not miss this opportunity to witness the mesmerising shades of orange and yellow blending in the blue sky while the sun sinks below the horizon. 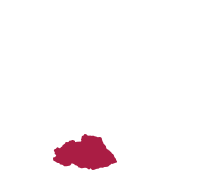 Additionally, as the sun goes down, you can indulge yourself with some wine and cheese, offered against a supplement. This sunset horseback ride package is perfect for horse lovers looking for a truly unique and unforgettable experience. 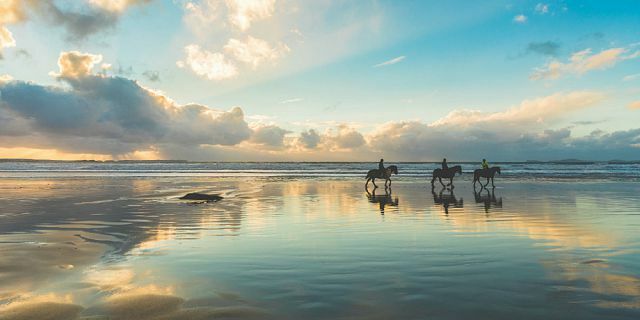 Saddle up and head to the deserted beach of Riambel for an exhilarating sunset ride where you can view the stunning surroundings of the southern coast. Do not forget your camera to capture beautiful memories in this picturesque backdrop. 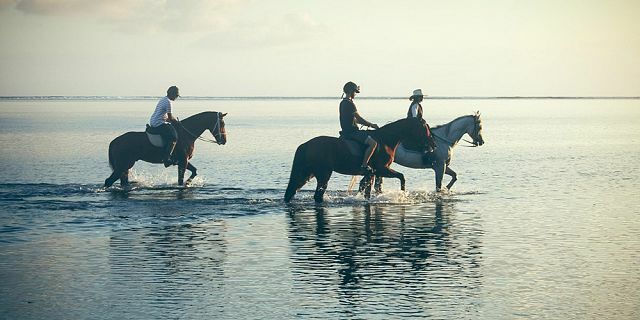 Riding on the beach at sunset on the exquisite island of Mauritius is a once in a lifetime opportunity. 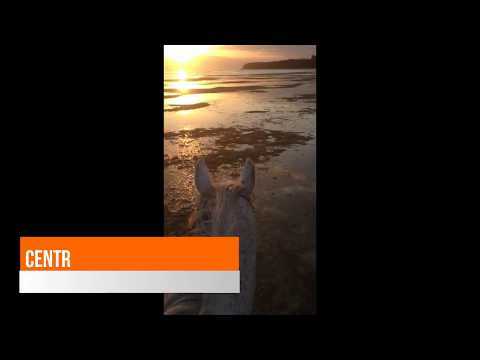 Immerse yourself in an unperturbed horse ride on the pristine shore of Riambel. Contemplate on the spectacular surroundings and peaceful setting as you ride along the secluded beach. You can trot up the beach and canter without coming across any beach crowds or local fishermen, allowing you to have a truly exclusive experience. Furthermore, the horses love being in the sea; you can start on the sandy beach and finish right into the sea splashing in the waves with your horse. 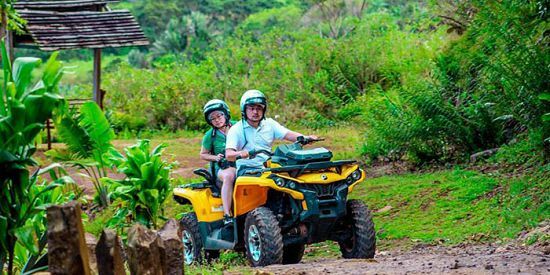 Professional guides will accompany you all the way, allowing you to enjoy an excellent horse riding experience while also admiring the views of the coast, in maximum safety. 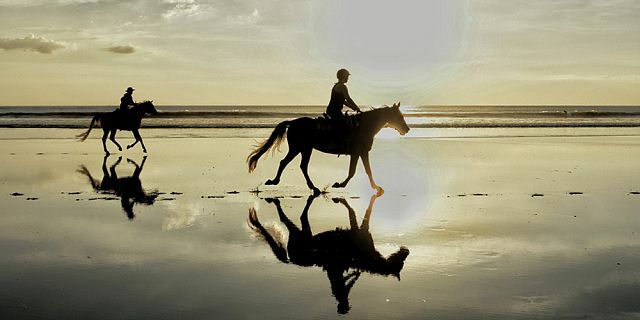 The beach horseback rides are a majestic experience that will leave you with very fond memories! 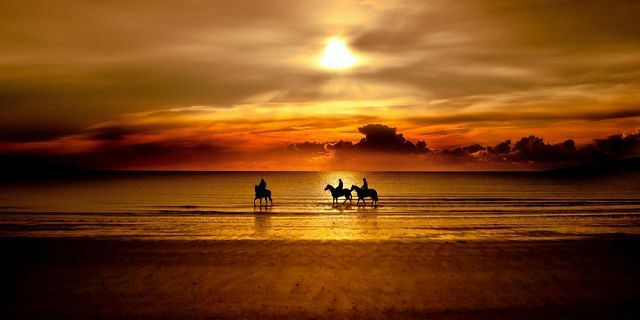 This sunset horseback ride package is designed to offer you an unforgettable, unique and secure horse riding experience in an enchanting setting. 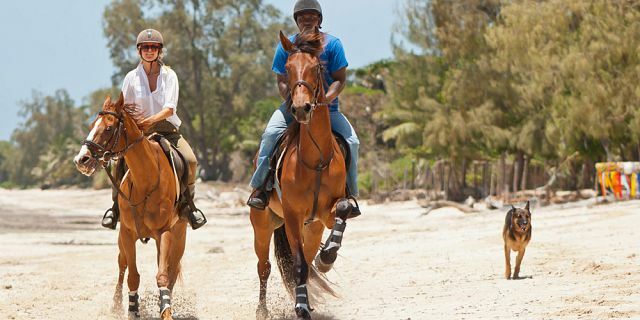 It is the ideal option for those looking to enjoy a private and intimate horseback riding experience on one of the most picturesque beaches in Mauritius. The public beach at Riambel is a dream beach located on the South coast of the island, with an expansive stretch of powdery white sand bordered by palm trees. You are sure to have a wonderful time on this deserted beach with the tranquil atmosphere along with the lulling sounds of waves. The Riambel beach is completely isolated and provides a true Robinson Crusoe feel, with no crowds or merchant stalls in sight. 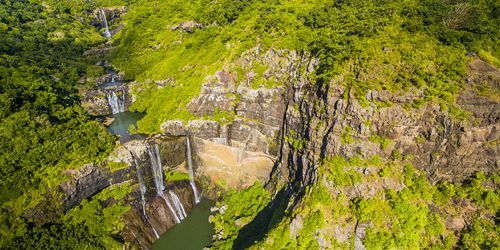 It’s a great place to explore if you’re looking for some solitude and an escapade in nature. The Centre has a small rustic stable of 10 horses and 1 pony. Situated amidst the sugarcane fields and close to the beach, the horses are reared in a friendly atmosphere. The stable accommodates for both beginners and experienced riders. Rides are personalised and adapted to the level of the rider, ensuring maximum security during their excursion on the beach. The horse rides are suitable as from age 6 and upwards. Participants must have a maximum weight of 95 kg. This activity is suitable for all levels, including those with no prior horse riding experience. Only experienced riders will be allowed to gallop with horses. 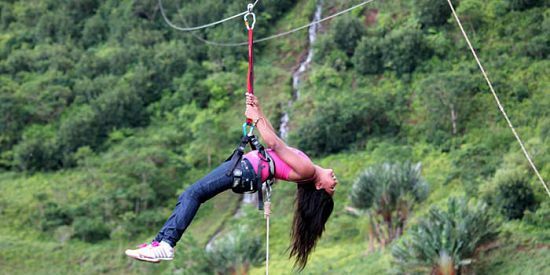 It is recommended to wear long jeans, trousers or leggings as well as closed shoes for a more comfortable experience. Horse Riding equipment will be provided. 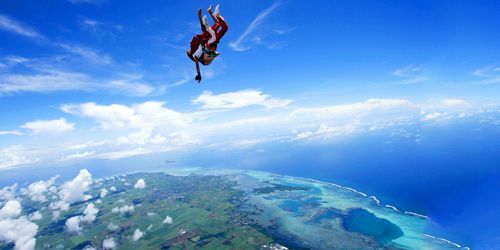 Note that this activity is not offered on Sundays and Public Holidays.